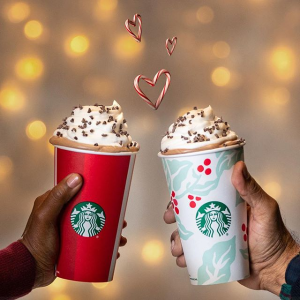 Starbucks offers buy one get one free Starbucks Happy Hour Activities when you buy any handcrafted espresso beverage, size grande or larger, get one free starting at 3 p.m.
Starbucks Happy Hour is Thursday, Nov 8. Limit one per person and code valid for one-time use. Note: Please check active stores previously. Up to 61% off Chocolate sales @ woot!